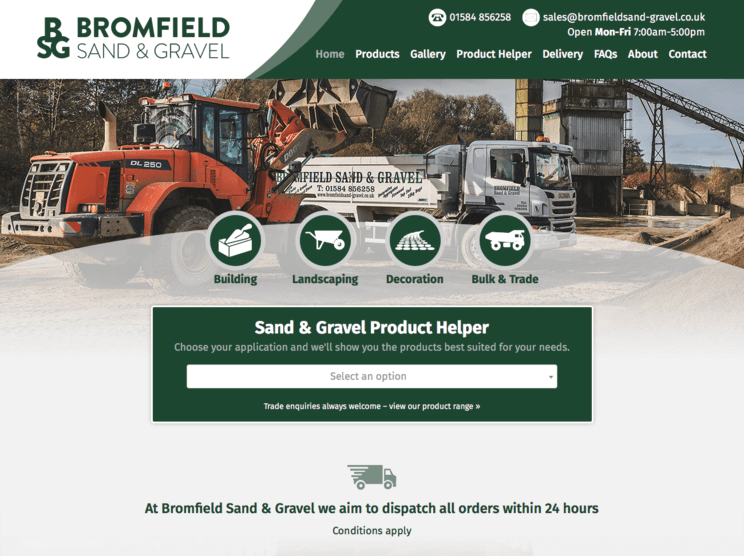 Bromfield Sand & Gravel supply a wide range of decorative and construction aggregates, including cobbles, slates, gravel, boulders and other building materials. 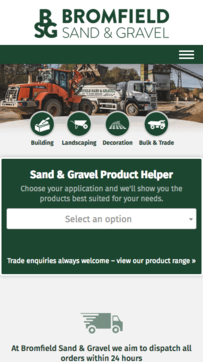 An intelligent helper tool allows customers to find the right products for their projects. Products are simple to navigate and useful calculation tools allow visitors to estimate the quantities that are needed for a job. 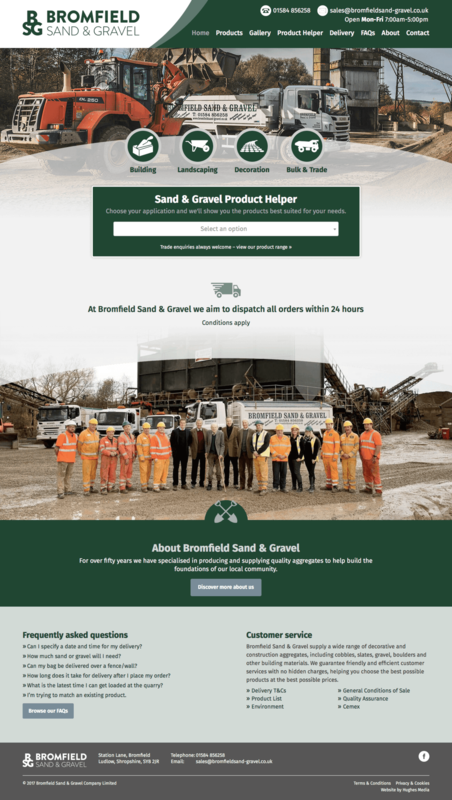 This beautiful site works well on mobile phones and provides Bromfield Sand & Gravel with structured enquiries to allow quotations to be provided quickly.